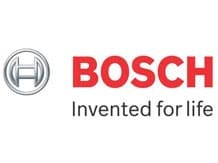 Auto components major Bosch Ltd on Friday reported a standalone net profit of Rs 353.34 crore for the second quarter ended September 30. The company had posted a standalone net profit of Rs 703.74 crore in the same period last fiscal, Bosch Ltd said in a BSE filing. The company said in the year-ago period it had recorded a profit before tax of Rs 365.26 crore from the sale of its starter motors and generators business. Revenue from operations during the quarter under review was at Rs 2,811.85 crore. It was Rs 2,837.96 crore in the year-ago period. The figures are not comparable due to GST implementation in July, it added. In the second quarter the automotives business had revenue of Rs 2,420.51 crore as against Rs 2,453 crore in the year-ago period. Revenue from other business segment was at Rs 397.97 crore as compared to Rs 386.97 crore in the year-ago quarter, the company said. Shares of Bosch Ltd were trading at Rs 20,635 a piece in the afternoon trade, down 2.22 per cent from the previous close on BSE.